Español / English. Chao llegó a la perrera en enero de 2019 y tenía aproximadamente 8 meses de edad a su llegada. Él es un mestizo que fue encontrado vagando por las calles, presumiblemente abandonado. Creemos que Chao responderá bien al entrenamiento y sería un compañero fantástico. Es un gran perro que no debe convertirse en un adulto en la perrera. Se lleva bien con los otros perros en la perrera. Chao parece ser un niño bien equilibrado y muy cariñoso. Video 27/1-19: https://www.youtube.com/watch?v=LuwYrfLY8V8. 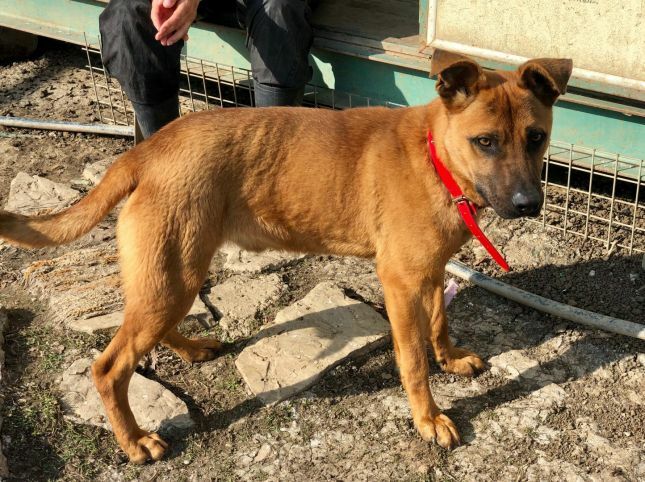 English: CHAO - LOVING AND LOVABLE Chao arrived at the pound in January 2019 and was approximately 7 months old on arrival. He is a male crossbreed who was found wandering the streets and brought to the pound. 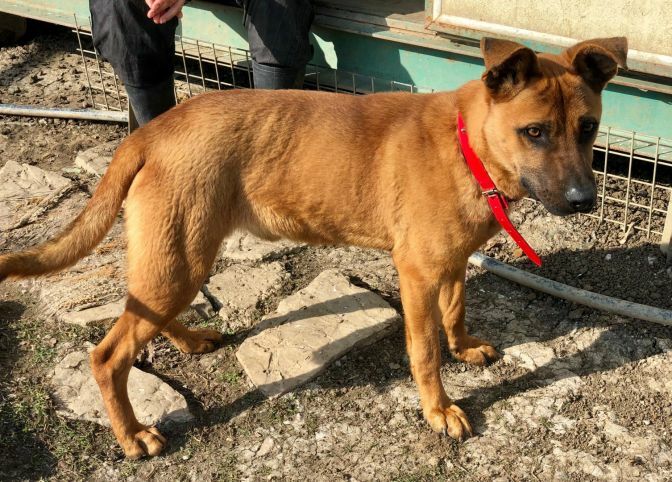 When Chao arrived he appeared to have had little interaction with other dogs and didn’t know how to behave around them. Since being at the pound, he’s learnt some manners and he has also been commended for his very calm behaviour when walking on the lead. We believe that Chao will respond well to training and would make a fantastic companion. He is a great dog who shouldn’t become an adult at the pound. Chao is available for adoption in Germany, UK, Sweden, Finland, Holland, Spain and many other countries. Homecheck and adoption fee apply. Adoption fee includes neutering, passport, microchip, all vaccinations, blood tests to screen for diseases, worm and flea treatment.